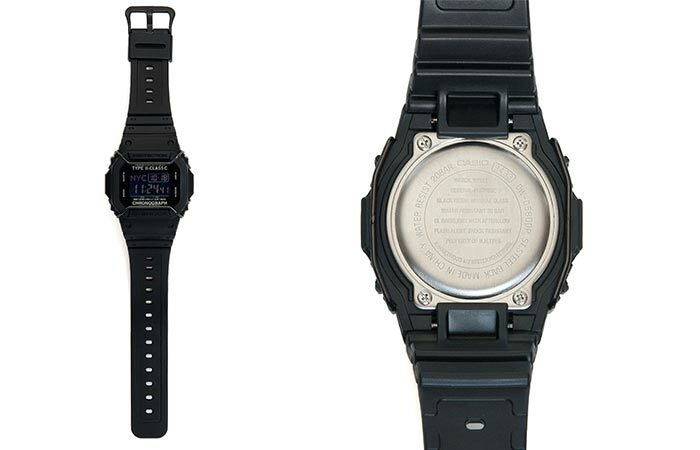 After their releases in 2014 and 2015, Japanese menswear company N.Hoolywood once again presented a product of their cooperation with masters of the craft- Casio G-Shock. We’re talking about N.Hoolywood x Casio G-Shock DW-D5600PN-1JR that’s just like the previous two releases, comes in a shape of a DW-5600. This time, two brands decided to go with the all-matte black color look. Even the buckle and buttons are completely black, giving this watch a stealth military design. As for the construction, the dial window is made of mineral glass. A digital LCD display is protected with a bulbar face protector, so like the rest of G-Shock’s, it can take a hit. N.Hoolywood x Casio G-Shock DW-D5600PN-1JR features a mineral glass dial window, LCD display, and bulbar face protector. The watch features 3 multi-function alarms and 1 snooze alarm. It also comes with a 48-city world time. It’s needless to say – Daylight saving time (DST) option is always helpful. On the back, there is a custom engraved “NHTPES”case. 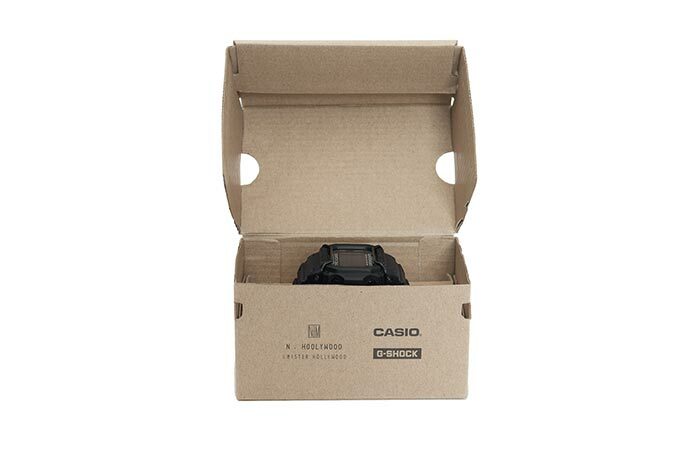 Finally, this G-Shock comes with a nice cardboard box which is also co-branded. Taking all the details into consideration, this year’s co-op could really mean – third time’s the charm. Just a few days ago, they made it available to buy online. The price is 21,600 yen, which is around $195. This is the third time these two companies teamed up.